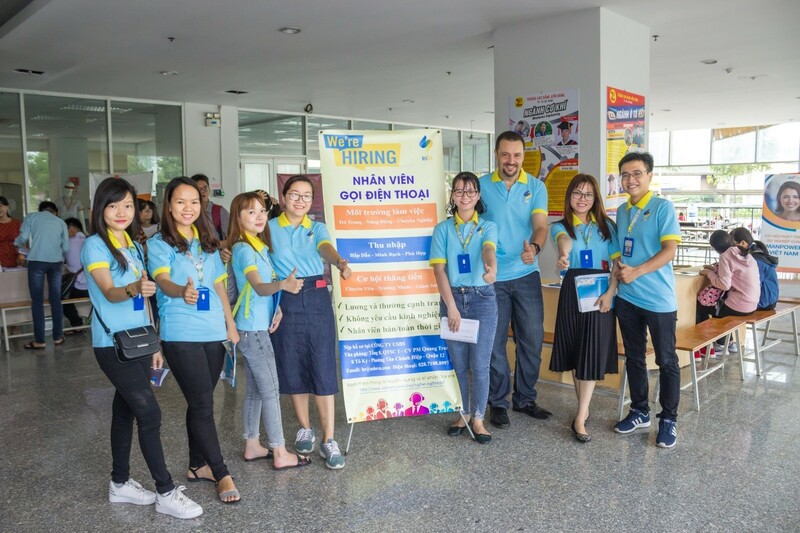 8th July 2018, USBS joined Viễn Thông college’s job fair to introduce to their students about company’s attractive available positions. 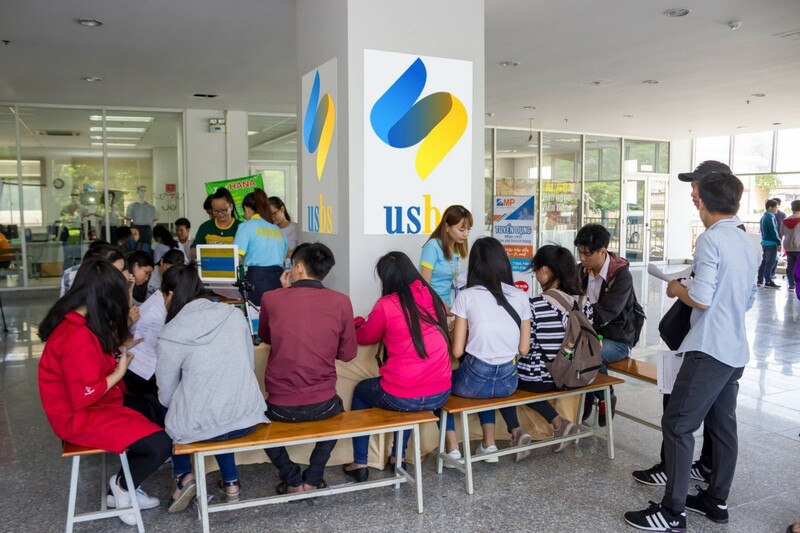 With a strong position in financial loans recovery in Vietnam, USBS’s staffs is professionally trained at Ho Chi Minh Head Office and branches and representative offices in Da Nang, Binh Duong, Dong Nai, Long An. USBS always take the most dedicated customer service as company’s target, and staff development as top priority. With the motto of human resources is the core value for the success and development of the company. Members of USBS are mostly young and energetic, enthusiastic, and with professional training from the company, USBS employees are always highly appreciated by professional as well as work ethic and attitude. 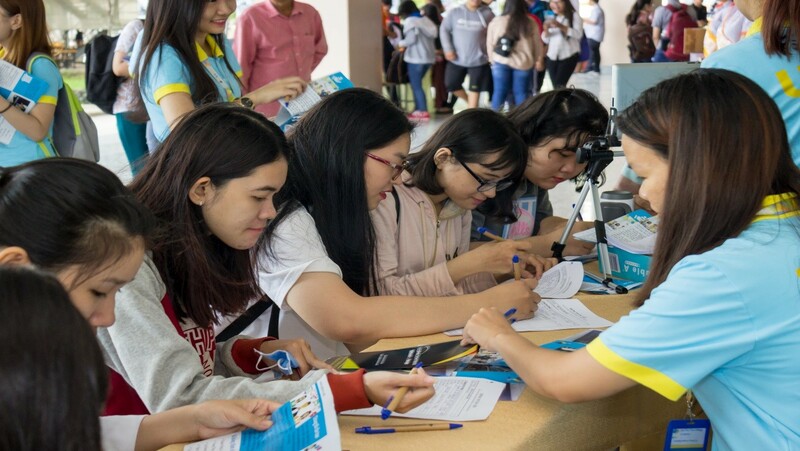 Like other companies, USBS brought job and internship opportunities for all students interested in finance, banking, law, business seeking for employment or an internship where they can learn and hone more. 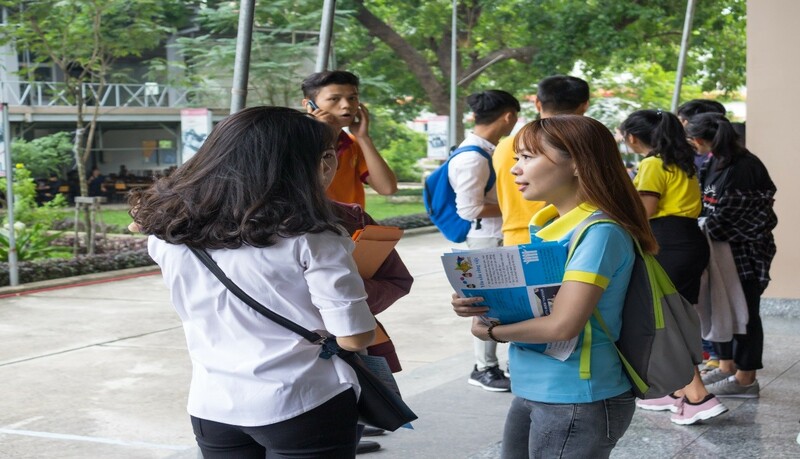 Due to the large number of application, some of them have to fill out a pre-prepared information registration form, and after the end of the fair, HR department will gather up and make calling schedule for candidate. 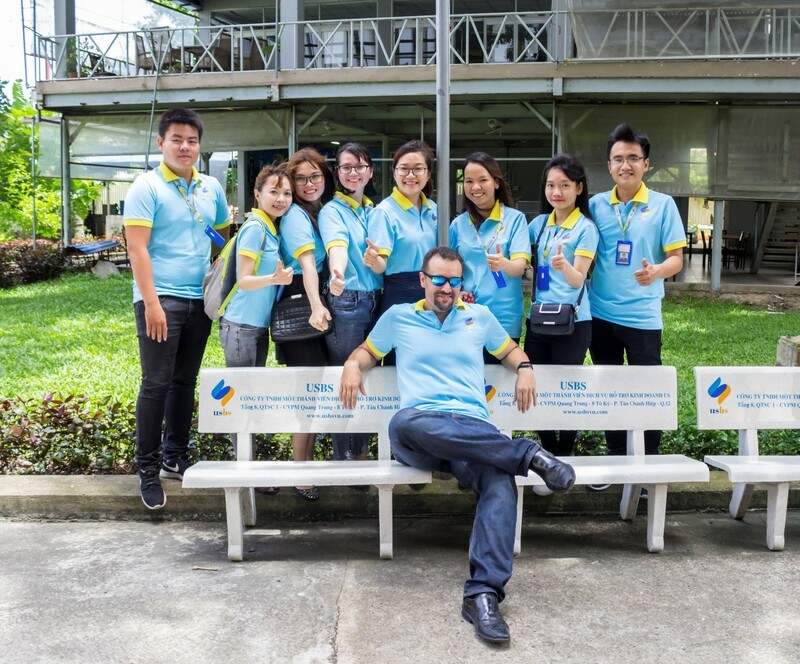 USBS’s table always attracts large amount of students to apply as well as receive souvenir from USBS. 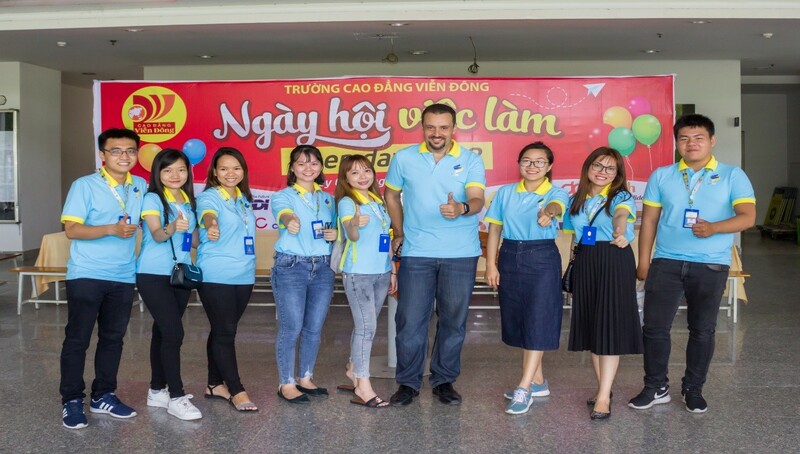 Company’s board of director and staffs brought blue – the color of hope – to the fair. Staffs were showing students how to complete the registration process to receive employment opportunities.